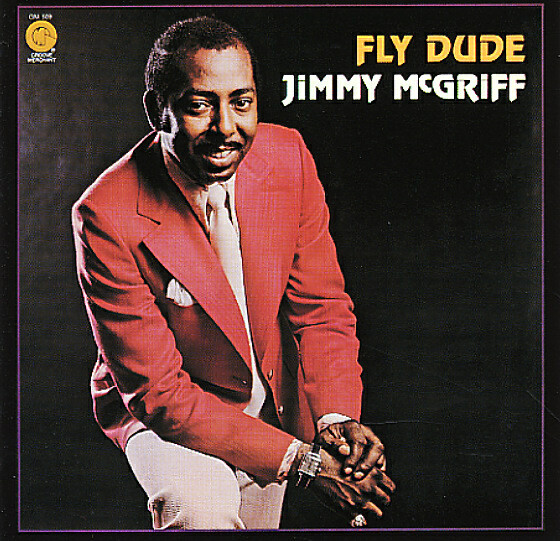 Some great down-home work from Jimmy McGriff – a session that's a bit less funk-based than some of his others for the Groove Merchant label, but still plenty darn great! The set's kind of a nice link between the straighter soul jazz of McGriff's 60s years, and his return to the format at the end of the 70s – and the group's a quintet, with Ronald Arnold on tenor, George Freeman on guitar, John Thomas on rhythm guitar, and Marion Booker on drums. There's some slight funky undercurrents – especially from Freeman's guitar lines, which have a nice degree of grit – which Jimmy seems to match nicely. Titles include "The Groove Fly", "It's You I Adore", "Jumping The Blues", and "Healin' Feeling". © 1996-2019, Dusty Groove, Inc.